2064836234 09 Jan 2016 01:00 Shazam~ Io Beastmaster Witch Doctor Templar Assassin Necrophos Invoker Enchantress Dark Seer Spirit Breaker Abaddon power of friendship !! Gyrocopter Disruptor Tiny Chen Earthshaker Death Prophet Undying Lone Druid Viper Sven power of friendship !! 2064541636 08 Jan 2016 09:09 Not Today ! 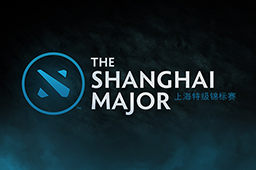 Oracle Invoker Ursa Windranger Witch Doctor Enchantress Abaddon Sven Omniknight Viper Unknown Dire Team Death Prophet Slardar Spirit Breaker Winter Wyvern Brewmaster Io Dark Seer Slark Undying Ancient Apparition Not Today ! 2062538679 08 Jan 2016 03:56 power of friendship !! Gyrocopter Spirit Breaker Shadow Shaman Slardar Razor Enchantress Abaddon Oracle Chen Omniknight Team Freedom Dota 2 Lone Druid Bane Invoker Tusk Viper Death Prophet Dark Seer Dragon Knight Templar Assassin Queen of Pain power of friendship !! 2062390851 08 Jan 2016 01:22 Not Today ! Dazzle Undying Slardar Dragon Knight Anti-Mage Enchantress Gyrocopter Alchemist Dark Seer Ursa power of friendship !! Spirit Breaker Bane Death Prophet Abaddon Sven Io Invoker Tusk Viper Phantom Lancer power of friendship !! 2062340441 08 Jan 2016 12:28 power of friendship !! Gyrocopter Undying Dark Seer Lion Dragon Knight Io Tusk Witch Doctor Oracle Shadow Shaman Not Today ! Death Prophet Faceless Void Skywrath Mage Queen of Pain Phantom Lancer Invoker Enchantress Batrider Dazzle Pugna power of friendship ! !